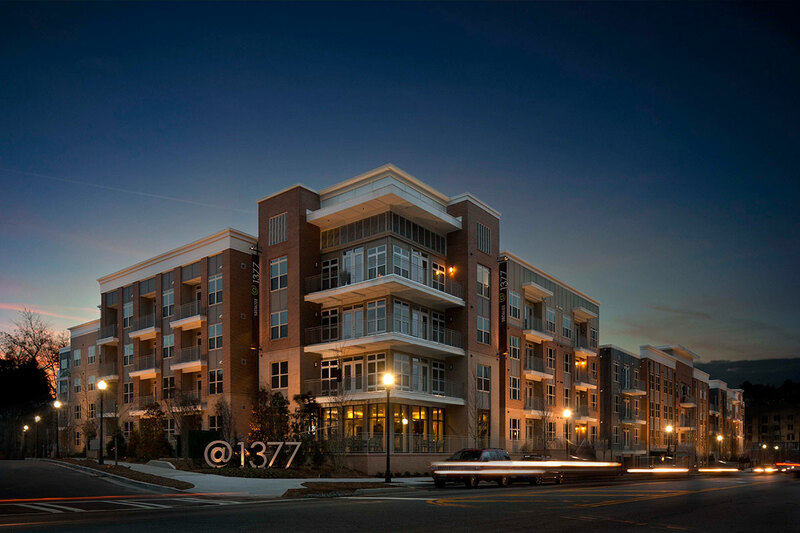 @1377 is a 215-unit, four-story for-rent multifamily development located on 3.3 acres in Brookhaven, a highly sought-after residential community and one of Atlanta's most established and affluent neighborhoods. The project is on Dresden Drive, a popular street containing a mix of upscale residential, office and retail uses, including several home-grown restaurants, shops and an urban grocer. The immediate area, including the proximate historic Brookhaven neighborhood and Capital City Golf Club, offers a lush green setting perfect for jogging, bike riding and dog walking. The 186,000-square-foot property contains 73 percent one-bedroom units and 27 percent two-bedroom units. 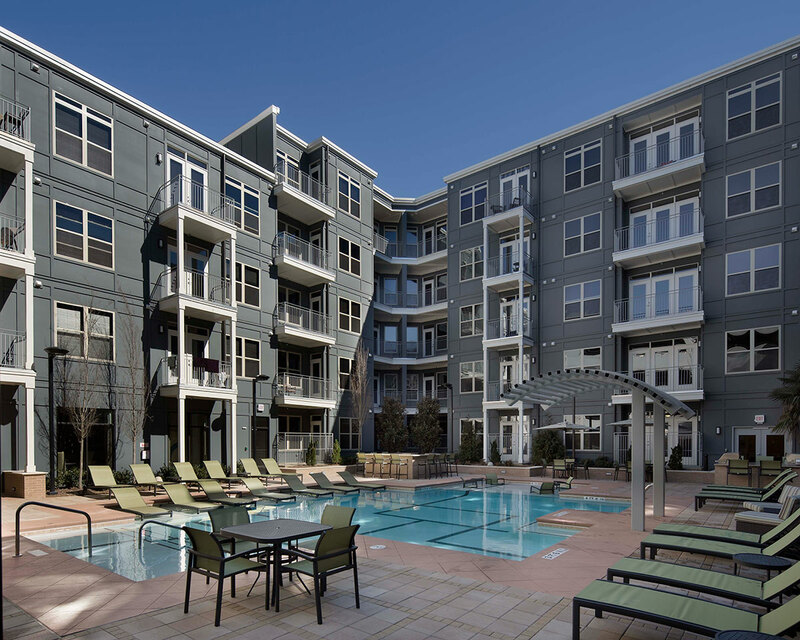 Luxury amenities include a courtyard pool with cabanas and grilling areas, a fitness center, Internet café and club room. 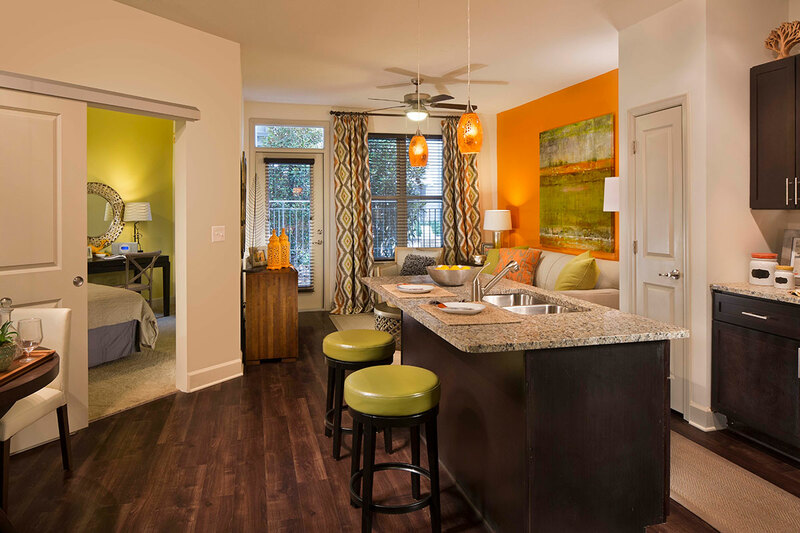 Residents at @1377 are within walking distance to the Brookhaven MARTA Station and in close proximity to the city's premier shopping malls, Lenox Mall and Phipps Plaza, as well as the major employment centers of Buckhead and Central Perimeter. Hines sold the property in June 2016.